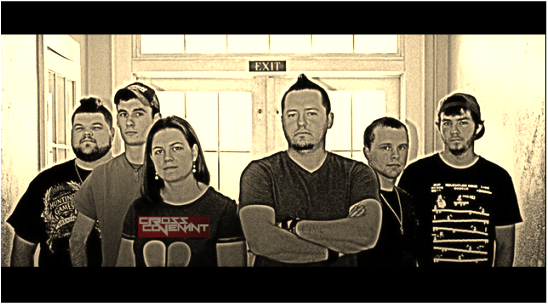 ​ Cross Covenant formed back in 2009 with the goal of creating Hard Rock and Worship that glorifies Christ. The band hails from Hemingway, SC where they deliver up lethal doses of Hard Rock for the King. 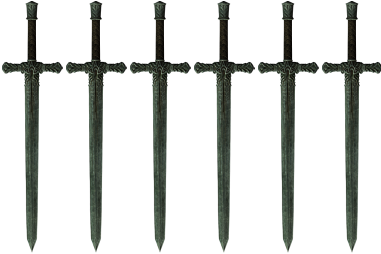 They take their name from the idea that the cross represents God's covenant agreement with us that he will be faithful to keep. Cross Covenant is showing no signs of slowing down now with three full-length releases to their credit. In 2011 they released their debut titled 'I Will Not Drown', then in 2013 they launched 'Learning To Fight', and in 2016 the band uncovered their third album titled 'Destroy & Rebuild'. In 2016, Cross Covenant released their 3rd full-length album titled 'Destroy & Rebuild'. First off, I have to give the band props for their album's cover art which screams Metal. Cross Covenant had the following to say about the meaning behind their latest release's cover art: "The of the cover is that we have built up so many traditions and ideas about what religion and church should be that we have actually put a barrier between ourselves and Christ a lot of the time. Some times we have to tear down our old ways of thinking and start over hence the title destroy and rebuild." Cross Covenant is comprised of Josh Adams-Lead Vocals/Guitars, Casey Davis-Guitars/Vocals, Cortney Howell-Bass, Tyler Perry-Guitars, and Brody Pope-Drums. This 2016 release follows in the footsteps of their sophomore album when it comes to sound and heaviness. Some tracks take on a heavier nature blurring the lines between Hard Rock and Metal as one can see "Dead Congregation" , "Fake" , "Tear The Temple Down" , and "Hyde". Out of the previously mentioned track "Tear The Temple Down" takes thing to the next level with its over-the-top Vocal work and overall heaviness. Vocals are handled by both Josh Adams & Casey Davis with Josh's wife Ashley singing harmony on the tune "Redeemed". Josh Adams handles lead Vocals on "Dead Congregation" , "Fake" , "Tear The Temple Down" , "Hyde" , "Redeemed" , and "Missing Person" while Casey Davis delivers the Vocals on "Break" , and "Not The One For Me". With future releases, I believe the band should maybe consider having just one lead Vocalist so that the overall dynamic is kept in tact and that one is not confused as to who is singing which tune. One track that stands out lyricaly is the first track "Dead Congregation" where we find an illusion to the valley of dry bones and the dead congregation being like unto zombies. This track calls for the congregation to wake up and come to life. The tune "Redeemed" also stands out due to its progressive nature coupled with soulful backing Vocals by Ashley. ​This track also features the piano alongside some smooth guitar play. For those into bands like Lordchain, Seventh Day Slumber, or D.O.G.S. of Pray then I highly recommend checking out Cross Covenant's latest release "Destroy & Rebuild". Lets help this band take the message to the streets by purchasing their albums so that they can speak life into a dead - zombie like world.